With ArmorShellz, truck owners can now add the ultimate in rugged styling and protection directly to their original equipment bumpers, but without the hassle and cost of permanent alteration. ArmorShellz are custom fitted ABS plastic bumper covers that are sprayed with the same tough polyurea surface coating as near-indestructible truck bed-liners. 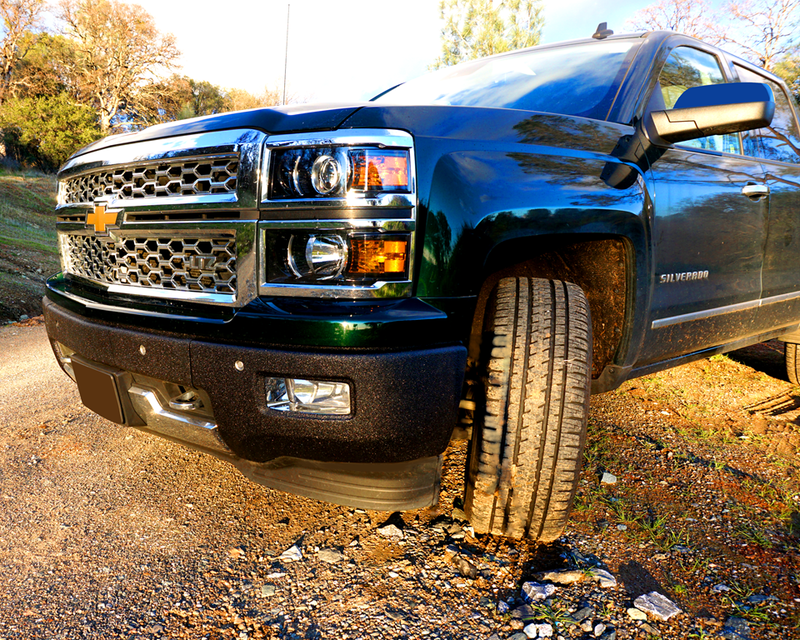 With ArmorShellz installed, a truck's bumper will be well protected from rock chips as well as many of the elements encountered while off-roading. If ArmorShellz become damaged, or the owner desires to return the bumper back to its previous appearance, these covers can easily be removed and replaced. Installation of ArmorShellz can be completed in under thirty minutes, and requires no drilling or any other alterations of any kind. They install by tucking under present trim and utilizing available screws and clips, and are secured firmly with 3M acrylic foam tape.